Ever since John Howard was unseated in the 2007 election and Australia launched itself into its decade-long cycle of political leadership instability, us foreign-policy types have wondered what damage it must all be doing to Australia’s reputation abroad. For the BBC’s Nick Bryant, a regular Interpreter contributor, articles about Australia’s “coup culture” and the damage it was doing to our diplomacy became something of a specialist subgenre. I myself indulged in somewhat mawkish declarations about the degraded state of our democracy and the effect it was having on our place in the world. After all, from 1975 to 2007 Australia had only four prime ministers, and in the ten years since we’ve had five. And that’s not to mention frequent changes of leadership in parties that were in opposition. 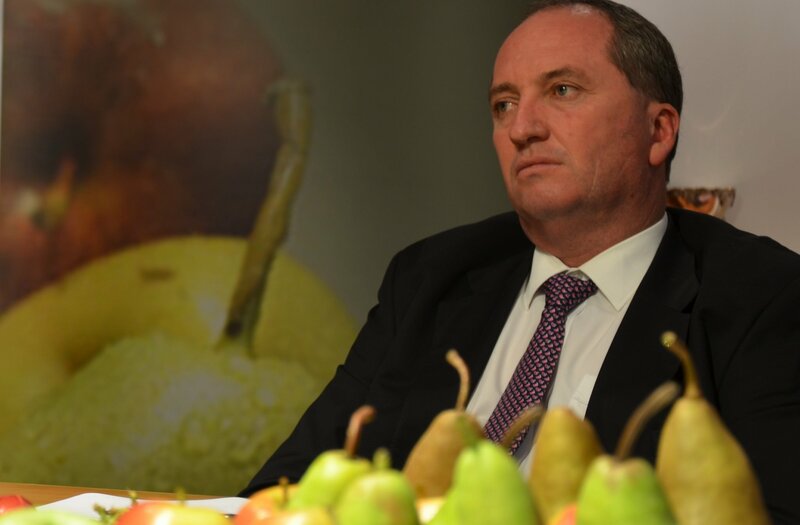 Now, of course, Australia’s Deputy Prime Minister, Barnaby Joyce, has resigned, and for the foreign media, the fodder could hardly be tastier. There are the lurid details about Joyce’s personal life, his earlier skirmish with a global celebrity, and the fact that aspects of Joyce’s personality fit so comfortably into foreign stereotypes about Australians. Our reputation abroad has taken another hit. But when it comes to instability and unpredictability, Australia is hardly alone among Western democracies. Britain shocked the world by voting for Brexit, traditional centre-right and centre-left parties are in retreat in Germany and France, and then of course there was the 2016 US presidential election. One common feature in all these democracies is the decline of established, mainstream political parties. In Australia that trend has been evident for decades, but it rarely shows up in election results because of the peculiarities of our voting system. One of the two major parties has continued to win a majority in the House of Representatives, allowing it to govern and the other to form an official opposition, as if Australians still overwhelmingly vote for one or the other. But Australians don’t vote that way any more, and allegiance with major parties is slipping in other Western democracies too. The economic and social conditions in which these parties were formed have altered radically, and Barnaby Joyce’s National Party is a case in point. It was founded as the Country Party, and in its 1960s heyday under John McEwen was a staunch advocate of rural protectionism. As protectionism was slowly dismantled in the 1970s and 1980s, the Nationals tried to reinvent themselves, but with limited success. Joyce’s downfall is his own doing, but the larger trends go far beyond his personal misfortunes. In each Western democracy, the instability and unpredictability that arises from the decline of old political parties manifests in different ways. In Australia, as the spoils of party membership have become more meagre for MPs, the fighting over those spoils has become more fierce, with leadership churn the result. This may be the new normal for Australia: more frequent leadership changes, minority governments, and shorter incumbencies in government. Or perhaps it’s an interregnum until we work out how to cope with more diversity in our parliament, and with governments that have less authority centred on the prime minister and cabinet and which need to work harder to build authority in the parliament. At least we’re not the only ones negotiating such radical change.